This past weekend one of our lovely little lady friends turned two. Emianna had such a beautiful bubbly birthday party and her mom Ashley did not let any touch float away. (Hee hee! Don’t you just love a good bubble pun?) Ashley used bright and bubbly pinks and repeated the bubble vibe throughout every detail. The invites set the tone… How adorable are these? I love how even Emianna is wearing bubbles. The copy is equally clever “Popping on over?” – too cute! Each kiddo got a bubble gun which was absolutely brilliant for so many reasons. No adults needed to blow the kiddos bubbles meant that us adults actually got to chat among the floating balls. And the kids had a blast! Even the tablecloths and food kept in the bubbly spirit! 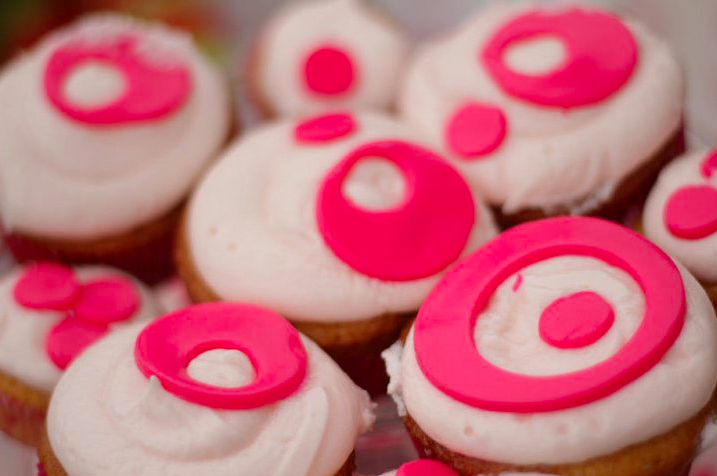 Check out how adorable those cupcakes are. Such a subtle and artistic nod to the theme. 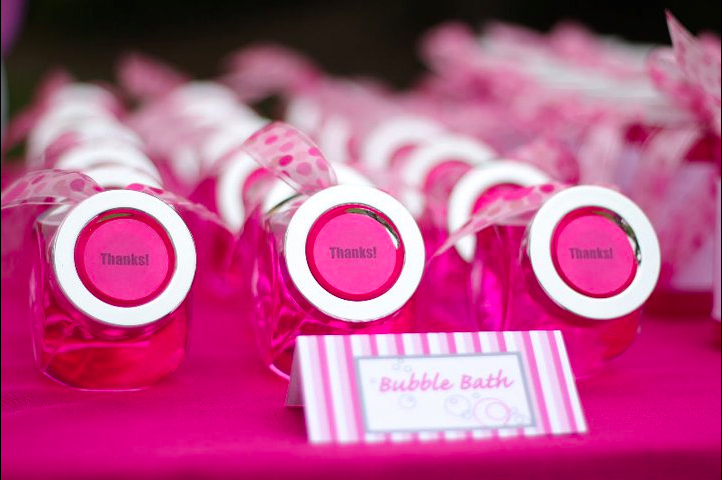 As if the fun party, the cute kiddos, and the bubble guns weren’t enough, they left us with bubble bath favors. (Again, notice the bubbly ribbon? I did!) Way to go Ashley & Co. You guys did a fabulous job celebrating your adorable girl! Thanks for letting us be a part of her day. 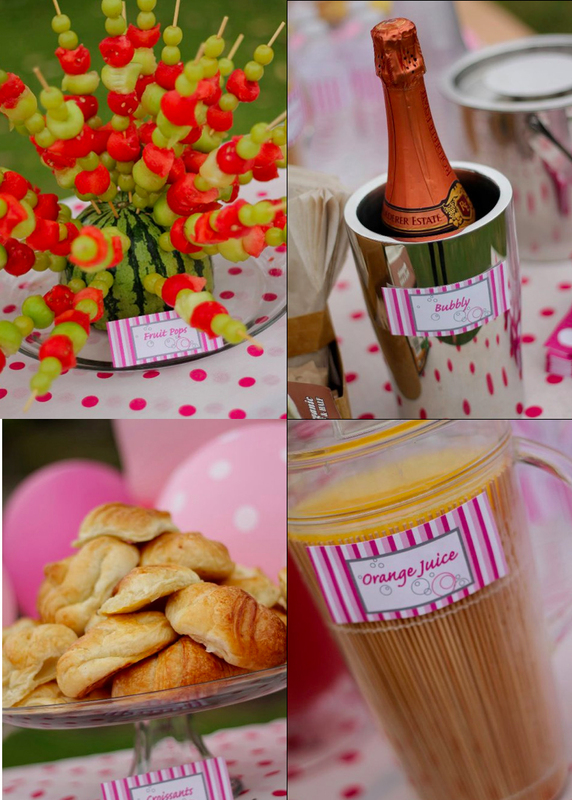 This entry was posted in kid's parties, parties for kiddos and tagged 2 year old girl party ideas, 2-year-old birthday party, birthday party theme, bubble birthday party, bubble theme birthday party, girls birthday party ideas, pink bubbles theme by Annika. Bookmark the permalink. I’m so thrilled that you posted our party! Thanks for coming and for all the creative inspiration!!! Where did you get the bubble guns from? Where did you get the bubble bath from? I’m doing a bubble themed party for my 1 year old. Who designed your invitation? I ordered the bubble guns from glowuniverse.com. They were the cheapest — $4.99 each for a quantity of 15 — and they offered free shipping. Bubble bath jars are from Ikea and the actual bubble bath was from Walmart — Mr. Bubble! She made the invites and I will put you in contact with her as she is willing to make printables for you! HI! Would you be able to send me the printable invitations? I just absolutely adore the bubbles!! They worked fabulously! It’s been almost a month since the party and my two sons both still are playing with theirs! They were FAB! Which town is this party planner from? Ashley is from South Orange County. She’s a really creative mom who planned this party for her daughter. aww!!! I live all the way on the other side of the country 😦 I wish there is someone in north jersey to this party for me. loved this whole party. How do I find someone in my area to do a party like this? where can I find the bottles like that for the bubble bath? I would also be interested in the invitation contact info. thanks!! 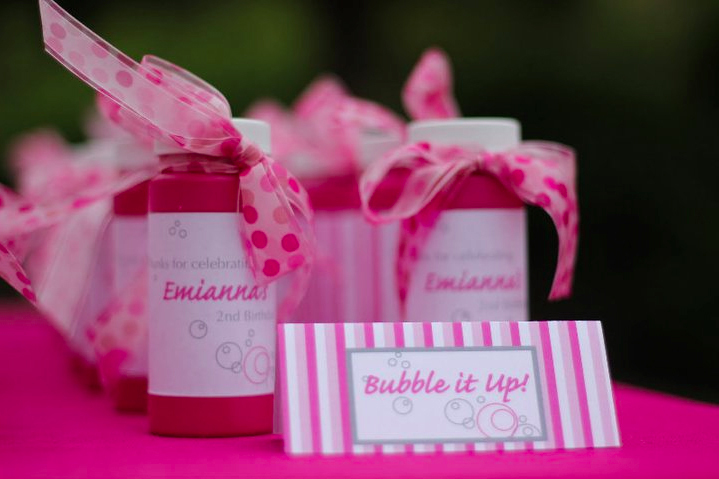 Cute cute stuff where did you get the invites and table cloth and all pink bubble bottle! My daughter is turning two and I would love to use these for her party.